This knife is a no-frills combat utility knife that was forged from ¼ inch 1095 high carbon steel (I only work with high carbon steel). The blade is 5 ½”. 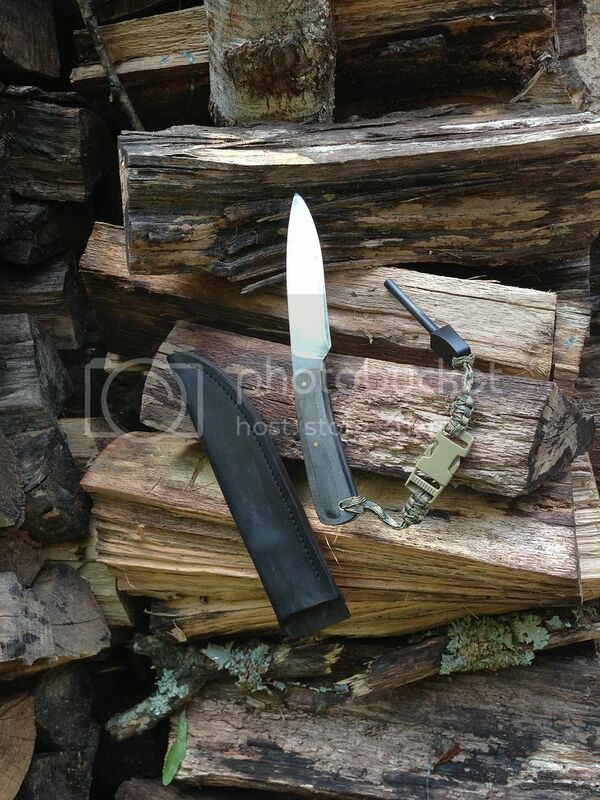 The handle is 4 3/8” and has black Micarta scales. It is 1 ¼” wide at its widest point. 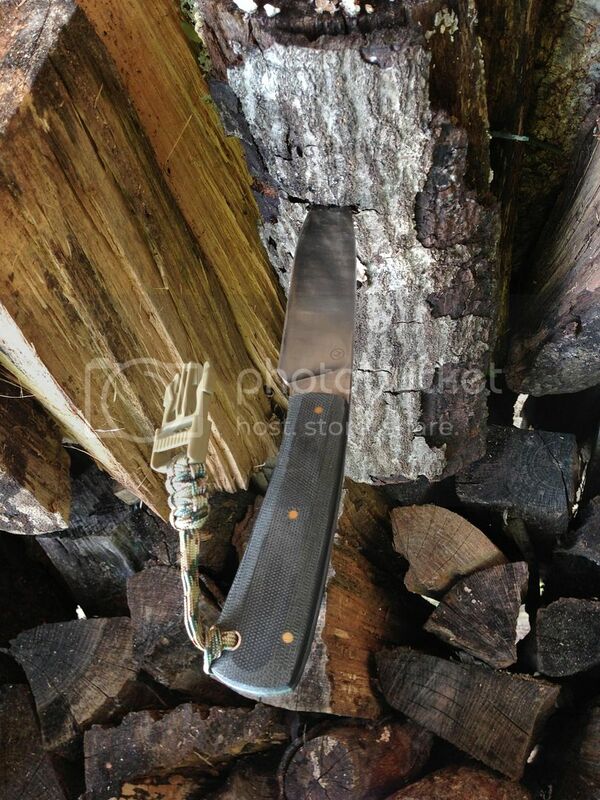 The Knife was forged then put through three normalization cycles. They are then hardened and drawn back to the desired Rockwell hardness. 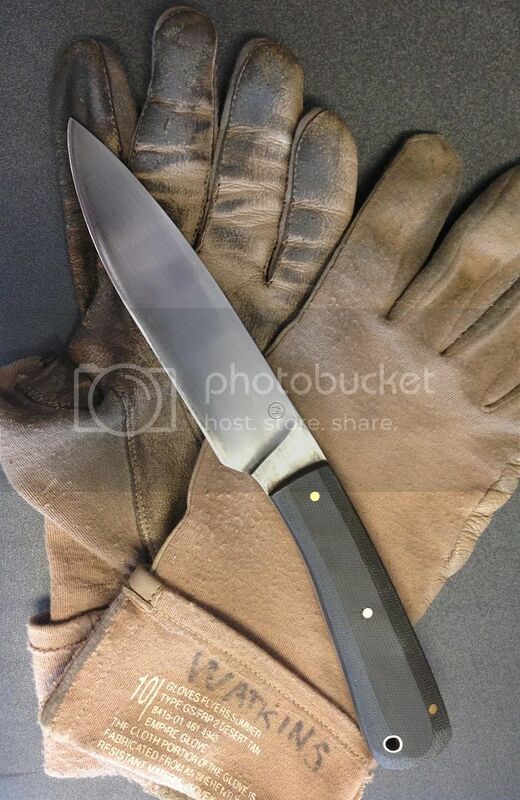 Then heat-treat per knife for the best performance for the intended use of the knife itself. This one is about 58 Rockwell and ground it to .022 and put a convex edge on it. 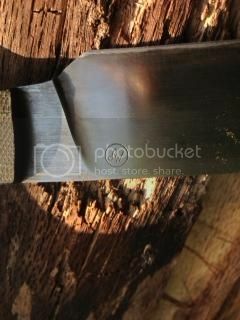 That thickness of edge is good for chopping, and general cutting. The good thing about forging is that Michael is not limited to stock size or shape. He is not limited to his own designs and welcomes ideas and collaboration from the customer. 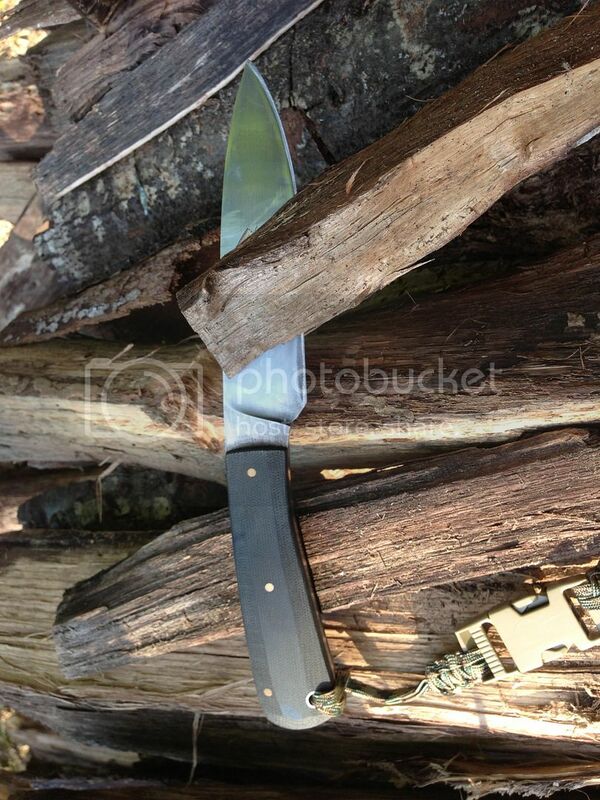 Michael is a member of the American Bladesmith Society (ABS) and knife making is his passion. He can work with all different handle materials including wood, bone, synthetic , etc. He currently works from a small shop beside his house, but is hoping to expand his business as demand increases for his knives. Michael states "I take great pride in every knife I create and do everything in my power to make it not only one-of-a-kind but also something that the owner will enjoy for years to come". 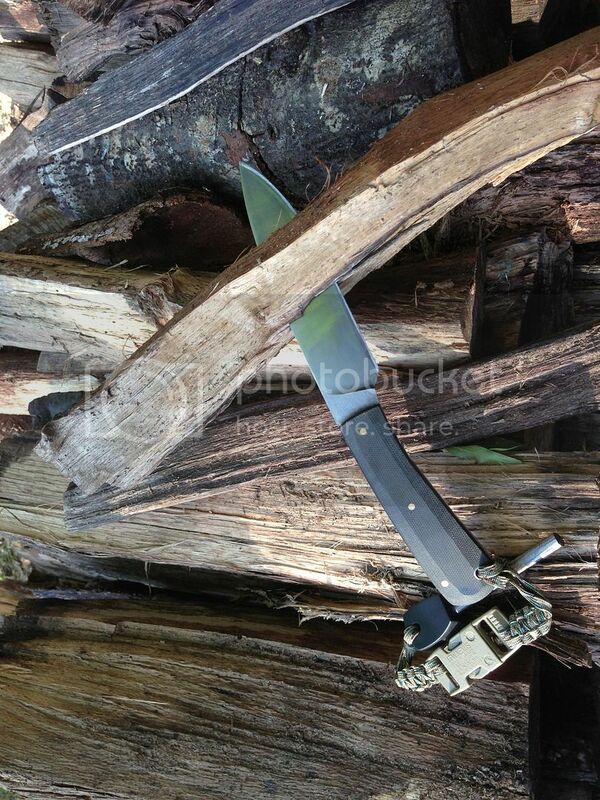 As most knifemakers, orders from active military personnel go to the top. 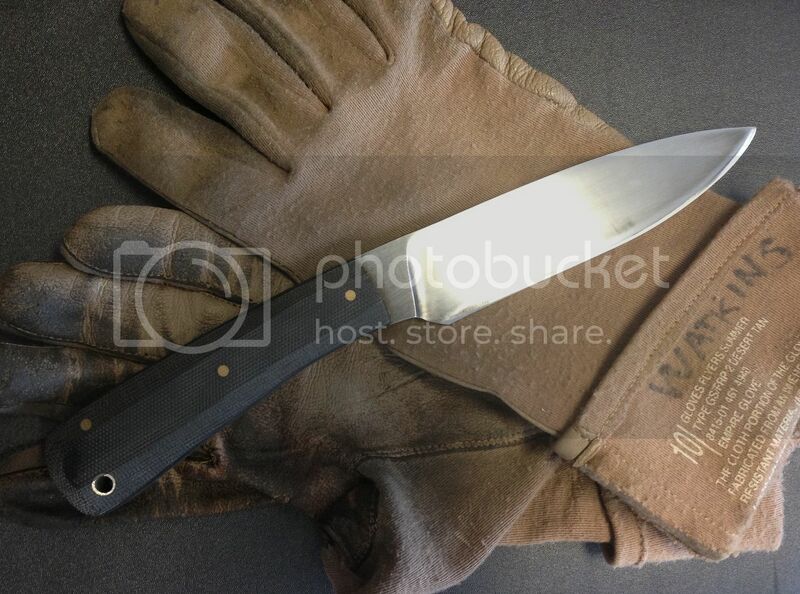 Michael Presnell Knives is a full custom shop and he claims sole authorship of all of the items he produces. I have had this knife for a few weeks and now and feel comfortable forming an opinion on this blade. I really like the weight and how it feels in the hand. It is large enough for most tasks while still being small enough for tasks that require fine motor skills. Everyone who has had a chance to handle it confirms that it is a practical knife and will fit the needs of most soldiers. Michael has done a great job on this knife and I look forward to more of his products.